Varagu rice kanji made with garlic, methi seeds and coconut milk is very good for common cold, cough and fever. Get rid of diseases and keep your body fit.This recipe will help you in many ways, mainly to build strong body. It will be very tasty with tomato chutney or jaggery, don”t miss it you will enjoy. Simple and easy to prepare with minimum ingredients. 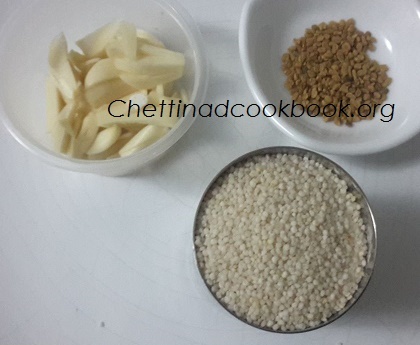 Kodo millet can be used in the place of raw rice or rava in all dishes alternatively, taste will be better when compared with rice. Kodo millet known as varagu in Tamil. Its basically a digestion friendly millet.It is rich in phytochemicals, that helps in reduction of cancer risks.It helps to reduce the body weight which is most needed for obese people. It helps to overcome irregular period problems in women.It helps to reduce knee & joint pains.Also it is good for diabetic people . 1. Wash and soak millet and methi seeds for 20 minutes. 2.Pressure cook this for 3 whistle in low flame,add garlic cook for 3 more minutes. 3. 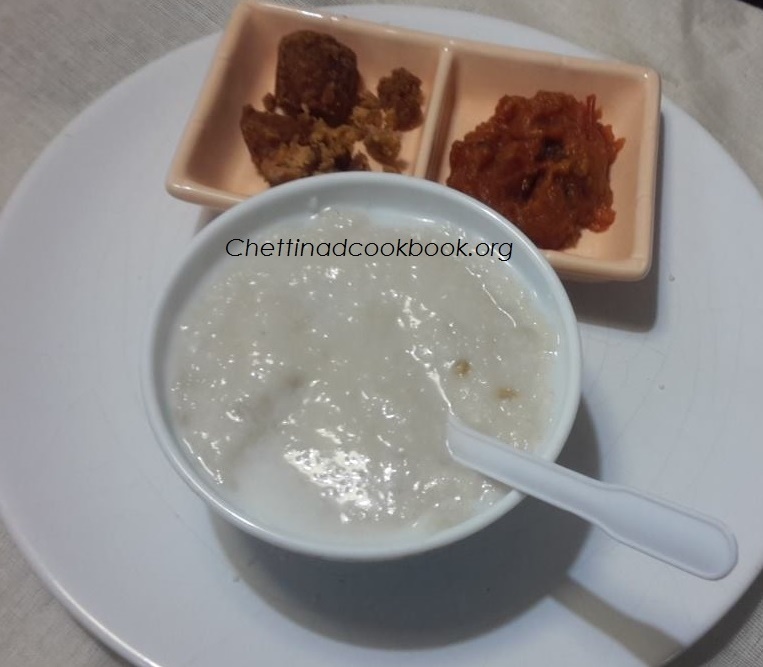 Mash it to a smooth consistency and add coconut milk when the kanji (poridge) is hot, no need to boil after adding coconut milk.